During his schooling years, Kepler found elementary Latin beyond his grasp and learned it with much difficulty. Kepler attended the University of Tübingen in 1589 to study philosophy, theology, mathematics and astronomy under Vitus Muller. He graduated from the university in 1591 and after receiving an M.A. in 1594, he accepted the position of the post of a teacher in astronomy and mathematics at the Protestant school in Graz, Austria. Kepler’s works Astronomia Nova, Epitome of Copernican Astronomy and Harmonices Mundi formed the basis for Isaac Newton’s theory of gravity. Devised the eyeglass for farsightedness and nearsightedness (he was the founder of modern optics). Invented the Keplerian Telescope, an enhanced version of the refracting telescope. Kepler’s book "Stereometrica Doliorum" was the foundation of integral calculus. 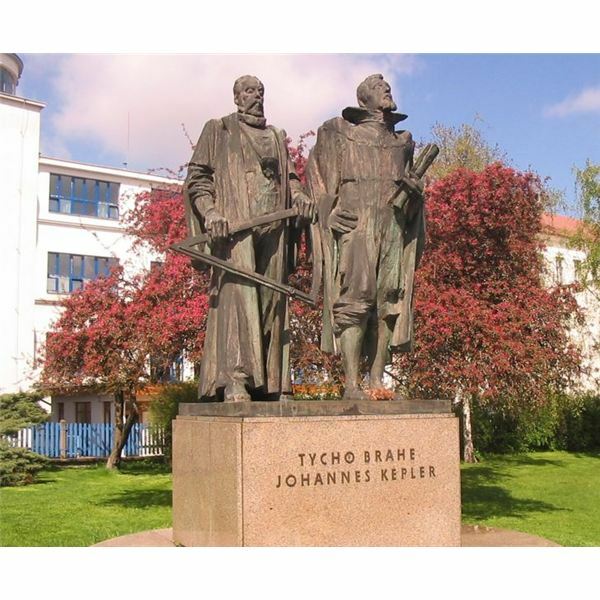 Notable Honors: Kepler inherited the post of his mentor Tycho Brahe’s as court astronomer and imperial mathematician to Emperor Rudolph II in Prague in 1601. Death: November 16, 1630 in Regensburg (Ratisbon), Bavaria, Germany. 1. In his college years, Kepler defended the Copernican system of planetary motion from both theological and theoretical perspective. Although he learned both Ptolemaic and Copernican systems, he followed the latter concept and openly defended the system in his work Mysterium Cosmographicum (The Cosmographic Mystery). 2. In 1600, Johannes Kepler met renowned Danish astronomer Tycho Brahe. After Brahe’s sudden death in 1601, Kepler used Brahe’s precise data and discovered that Mars moved in an elliptical orbit.He explained his discoveries (including the suggestion that the sun rotates on its own axis) in his work Astronomia Nova (1609), which constitutes Kepler’s first two laws. He published his third law of planetary motion in his Harmonices Mundi in 1619. 3. Kepler had to relocate many a times because of his religious stance, but he continued his studies and published the Epitome Astronomiae in 1621, which discussed the core concepts of heliocentric astronomy in a methodical way. 4. He developed the Rudolphine Tables which contained calculations using logarithms. Using these perpetual tables, Kepler calculated the planetary positions and predicted the transit of Venus and Mercury across the face of the sun. However, he died before witnessing the events. 5. 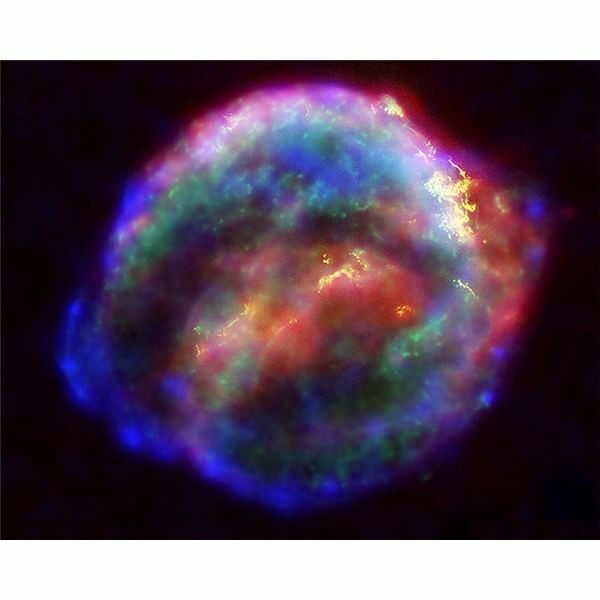 The Supernova 1604, also known as Kepler’s Nova or Kepler’s Supernova, was first observed on October 8, 1604 by Johannes Kepler. He wrote a book De Stella nova in pede Serpentarii, in which he explained the astronomical properties of the star and speculated its origin. The remnant of Kepler’s supernova is still a significant subject of modern astronomical studies. Johannes Kepler was a very frail child from birth. He contracted smallpox in his youth, which severely affected his vision. Young Kepler also suffered from various other illnesses, including Hypochondria. Kepler was fascinated with the night sky at an early age of six. The Great Comet of 1577 left him completely spellbound. At age of nine, Kepler observed the lunar eclipse of 1580. He had a deep interest in astrology, though he had many doubts about its laws and foundations. He was shrewd and used astrology to influence his friends and distinguished noblemen. Kepler was popular for casting horoscopes for his friends and family while studying in the Tubingen University. During his teaching years in 1594 (in Graz, Styria, Austria), Kepler had to make astrological predictions as part of his “professorship duties". Although he was not interested in making predictions, he correctly predicted the invasion by the Turks, the peasant uprising and a very cold winter in 15951. A rare astrological conjunction in 1604 helped Kepler calculate Christ’s birth2. This calculation is universally accepted today. There have been many books written on Kepler’s laws of planetary motion. However there were some whimsical non-fictional books written including the controversial non-fiction work Heavenly Intrigue (2004, Joshua and Anne Lee Gilder), which revealed that Kepler murdered Tycho Brahe and republished his works in his own name. 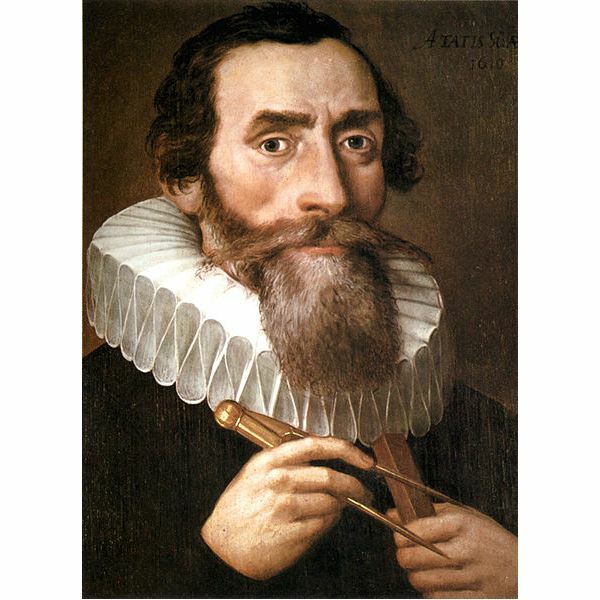 NASA’s 2009 Kepler Mission was named after Johannes Kepler for his key role and contributions to astronomy.